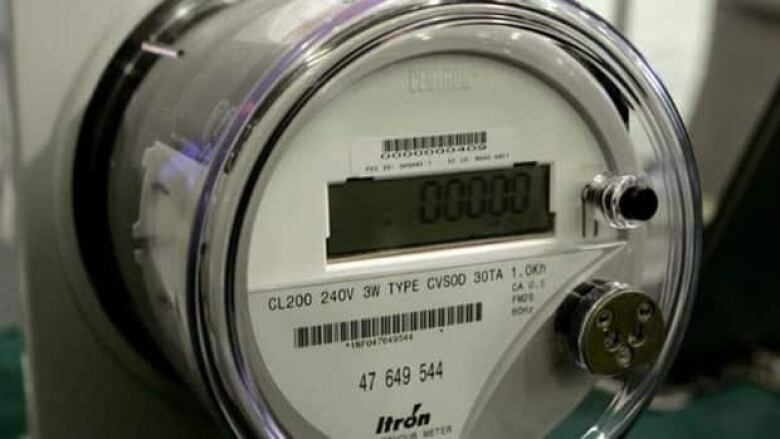 Opponents of smart meters are preparing a class action lawsuit against BC Hydro, alleging installation of the devices has led to thousands of health, safety and privacy concerns over the last two years. Earlier this year, BC Hydro said it would not install smart meters without the permission of residents, but those behind the lawsuit say that is not what happened to one Peachland woman. Deborah Stutters said she refused a smart meter last year, citing health and privacy concerns, but BC Hydro installed one anyway. Stutters then had an electrician replace the meter with an analog version she bought in the U.S. But when the utility learned of the switch, it cut her power, leaving Stutters in the dark. "We have no BC Hydro power at all," the Peachland grandmother told CBC News. "We're lacking electricity. We've got a tiny wood-burning heater. Basically, that's it." When anti-smart meter advocates heard of Stutters's story, they decided to take the matter to court. "This is the final straw... They are infringing on our civil rights," said Sharon Noble, Director of the Coalition to Stop Smart Meters. "Hydro has been doing this now for two years. Many people over the last two years have been asking to be treated with respect," Noble said. "When their wishes haven't been considered important enough to respect, they've been asking for a class action suit," she added. The group estimates that some 200,000 homes would switch back to analog meters if they had the choice. The coalition's lawyer is now collecting signatures online for the class action lawsuit, which they plan to file in court in the near future. BC Hydro spokeswoman Cindy Verschoor says Stutters's new analog meter isn't approved for use in Canada and if something went wrong it could be liable. The only meters BC Hydro does approve are the smart meters, she said. "In cases where a meter's expiration date is up or the meter is broken, B.C. Hydro has always had to replace the meter with a new meter," said Verschoor. B.C. NDP Leader Adrian Dix has promised to submit the smart meter program to an independent review if he's elected premier.